Some people see Glacial Augment and assume that it's just a basic attack they need to watch out for. However, they forget about the 600-unit frozen laser slow that drops enemies by 60% movespeed in an AOE. At a 4 second cooldown, Morgana with Twin Shadows and Hextech GLP can bring enemy teams to a standstill. Not only for Morgana's binding, but Glacial Augment also allows your other teammates to hit their spells easily as well. This expands Morgana's range by quite a bit considering Twin Shadows has a 4000 unit range while her binding is...considerably less. Even before Morgana picks up Twin Shadows, Glacial Augment is also great in lane for landing your snares. Generally speaking, a good Morgana is separated from bad Morganas by the number of bindings they can hit in lane. With this, you'll hopefully fall into the first category. This build drops out the usual Aery or Guardian runes. As a result, you'll have lower overall damage and shield power provided you hit just as many spells as you do with Glacial Augment. On the other hand, Morgana's cooldowns are a bit high early on, which means each one you hit is crucial. Picking up this build also slows down your purchase of traditional support items like Ardent Censer, Redemption, and Locket. Some players may prefer these, especially if you're playing with a squishy hypercarry with low early game kill potential. 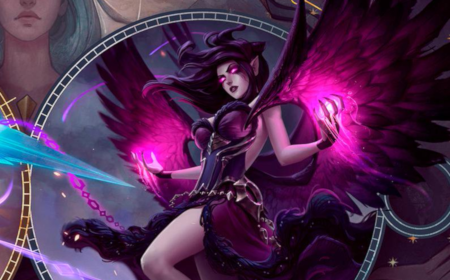 This version of Morgana really focuses on being a kill lane. It does have good peel pressure, but definitely works better as a hunting champion to catch enemies out of position with Twin Shadows and the massive slow combination with Glacial Augment.